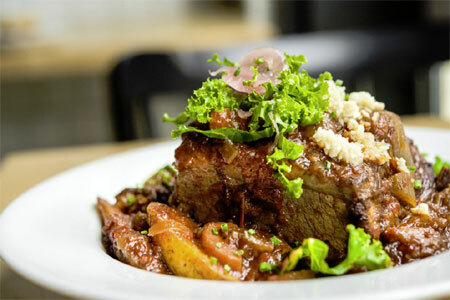 Italian restaurant smack in the center of downtown Manhattan's hot-spot, the Bowery. 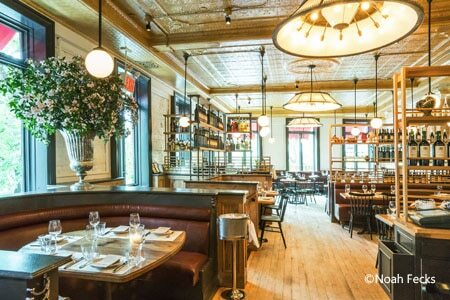 : While chef Andrew Carmellini has opened his share of finer dining establishments, this easy corner location is the charming, unfussy little sister of the family. The first floor bustles, yielding a few bar seats in back. The more spacious second level is where you can while away a pasta-laced evening. A petite cocktail list features Italian liqueurs. An Italian wine list is crowd-pleasing, with a price range that is pocket-friendly and the majority of bottles at $60 and under. Meatballs stuffed with soft cheese are so addictive, you may have to order them twice. Antipasti are variations on the theme: meat, cheese. But you won't go wrong with any of them. The main attraction, pasta and the classics are the way to go: orecchiette with sausage and broccoli rabe; linguine with four cloves of garlic. For dessert, the tiramisu is one of the better versions in the city, although the panna cotta with strawberries and white balsamic is a sweet, creamy, tangy way to finish your meal.